Today we’d like to introduce you to Julie and Danny Thiets. Thanks for sharing your story with us Julie and Danny. So, let’s start at the beginning and we can move on from there. Danny & I are both very entrepreneurial & in 2005, we formed a business to help junior tennis players use video technology to achieve their training & recruiting goals. It was fun for a while but 12 long years later, we were totally burned out & when we experienced some personal losses, we knew it was time for a new beginning … but what? Then Danny asked if I remembered our trip to Asheville, NC to celebrate our 20th anniversary together. He specifically asked if I remembered the music/party bus. 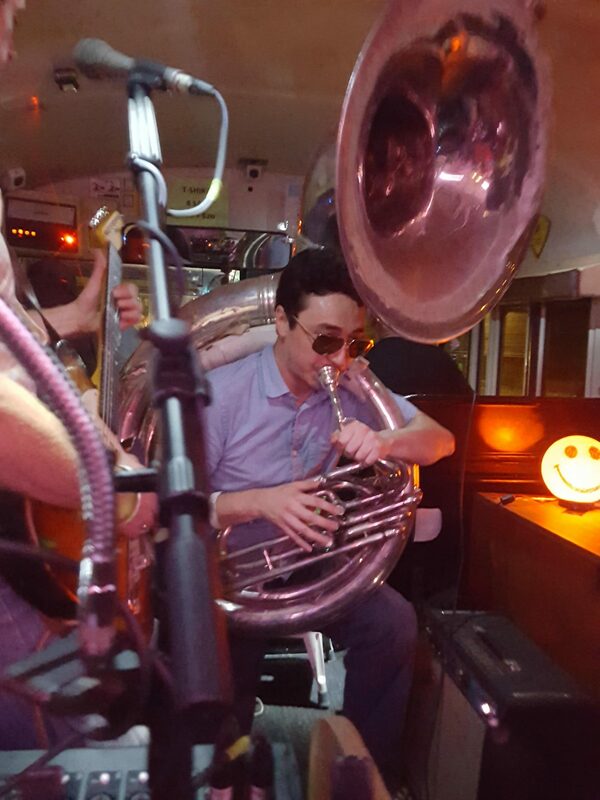 “Of course I remember that bus!! It was unforgettable!! 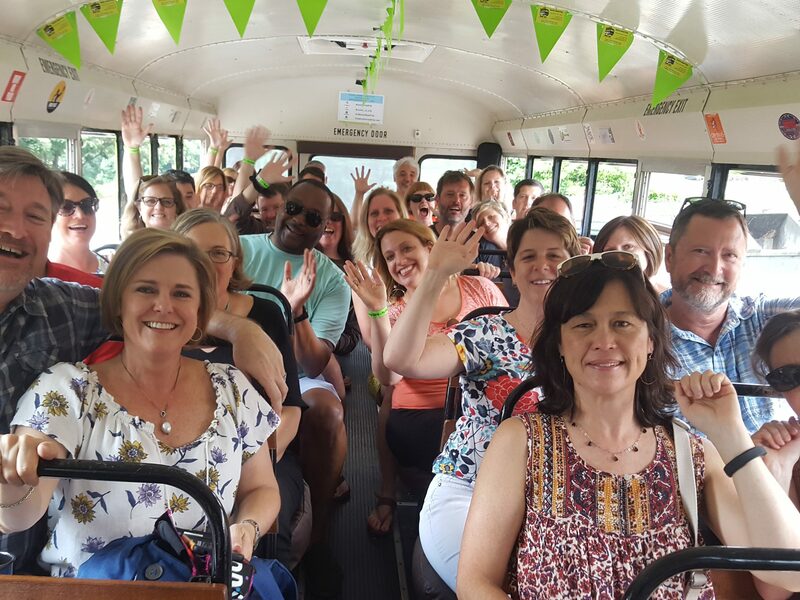 “Let’s bring the party bus to Atlanta!” And so we did!! We know we’ve got a great idea but, like all new businesses, it has not been easy! In the beginning, we weren’t sure how to obtain financing but fortunately, we were eventually able to overcome that obstacle. Unfortunately, we continue to struggle with finding affordable insurance for the bus & then there’s the marketing! Neither of us has a background in marketing & since our target market is soooo ginormous, we’re not sure how to get the word out! We spent basically our entire first year in business trying to understand what our business IS & what it’s NOT. Please tell us about Rockin Road Trip. 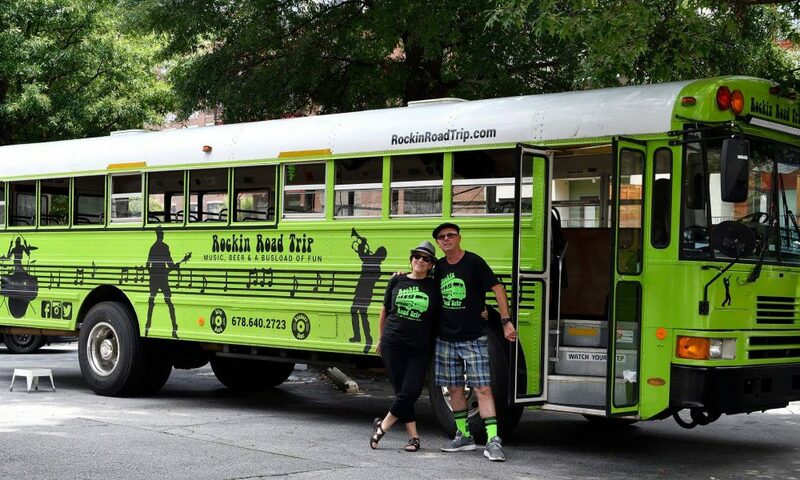 Rockin Road Trip is Atlanta’s ONLY Rolling Music Venue! We combine friends, live music & beer! 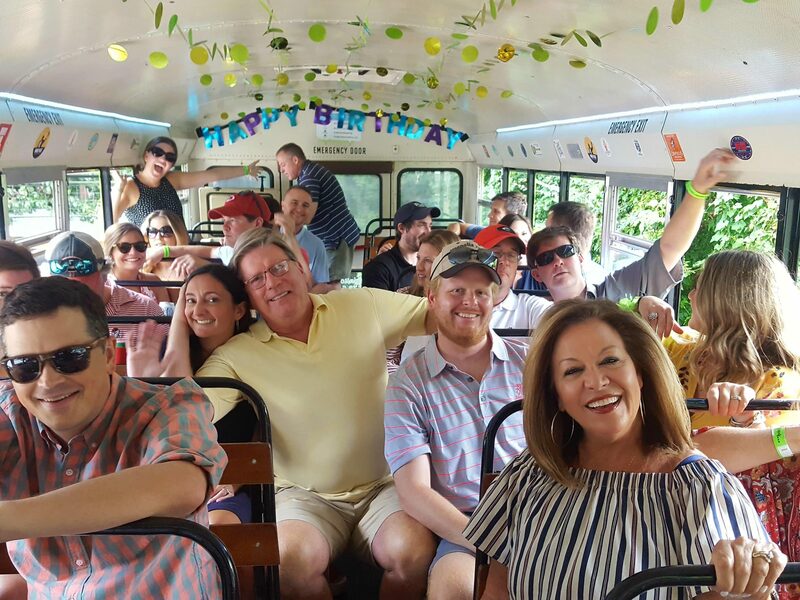 We are here to help you celebrate those special moments in life—like birthdays, anniversaries, corporate outings, weekends, lol. 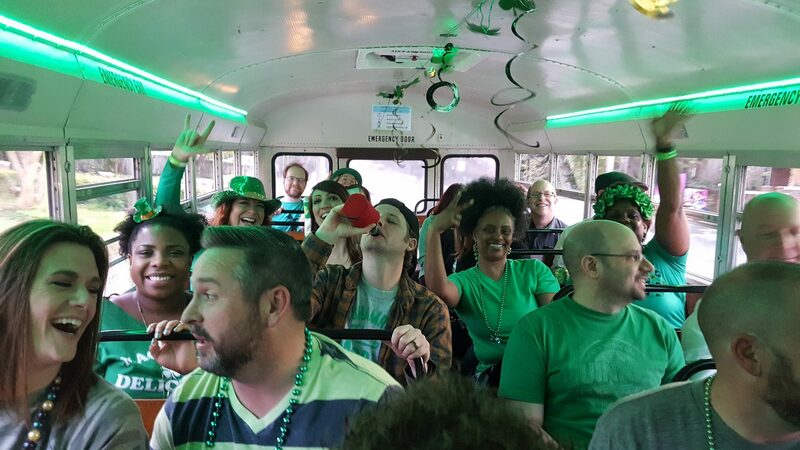 If you’ve got 10-34 people, we’ve got a PARTY because we’ve got 34 BYOB seats on a big green bus & YOLO! 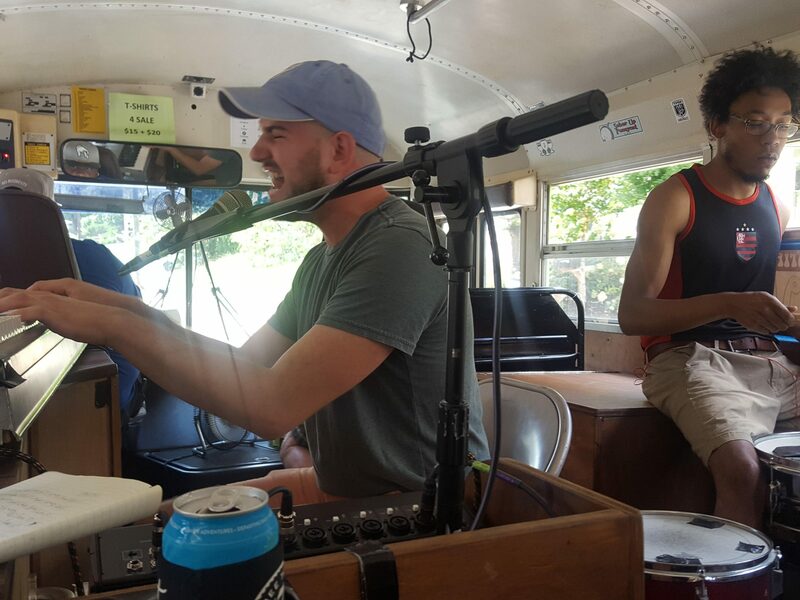 Every road trip is as simple as 1-2-3: We’ll have ONE live band (or DJ) on the bus, we’ll visit TWO breweries (usually for discount brews) & after a THREE hour tour, we’ll safely return to where the fun began! We love live music & we support local bands, we drink local beer & we add a personal touch. Rockin Road Trip is a no-brainer! 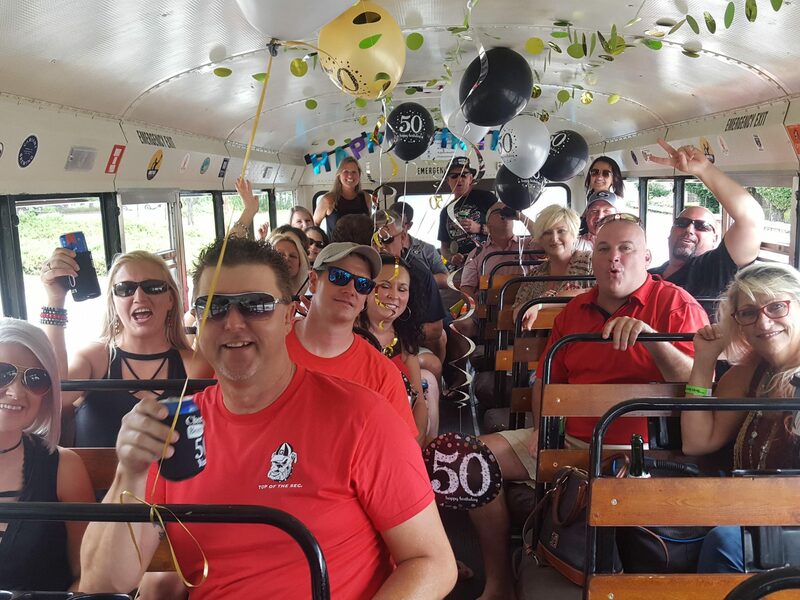 If you’re interested in a party on our bus, we work with you to determine your date/time & a convenient pick-up/drop-off spot for your group, we help you select two breweries & we identify the type of music your group likes best… We take it from there!! We organize the entire road trip & we send an online invitation that you can send to your friends so they can reserve their seat. 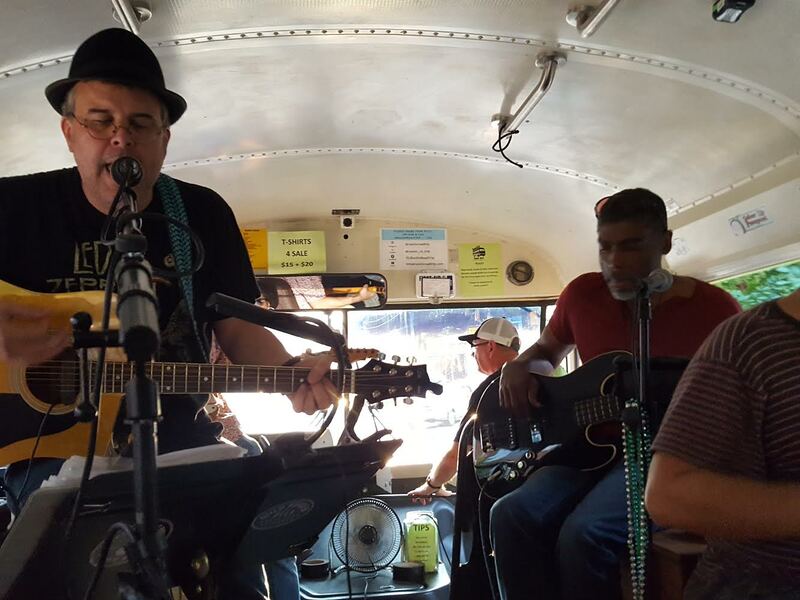 NO MUSS, NO FUSS—Just music, beer & a busload of fun! 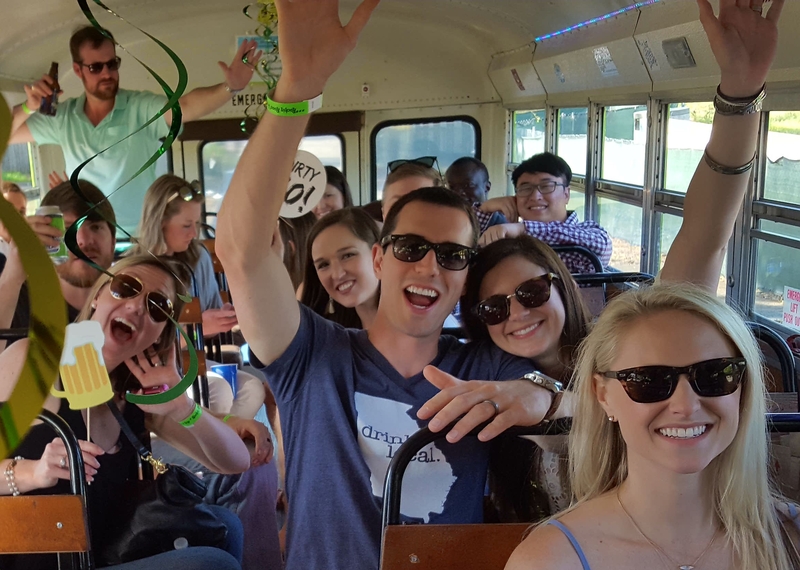 Atlanta is a wonderful place to live & it’s certainly greater in Decatur but we underestimated the time it would take to get the word out … Wish we’d concentrated more on the marketing from the beginning!